The Met Office has issued a Yellow Warning for parts of the UK as the remnants of Storm Helene brings strong winds. It said western and some central parts of the UK would be affected on Monday night and Tuesday morning. It warned of likely delays to road, rail, air and ferry transport and said some bus and train services would probably also be affected. "Although now expected to bring less strong winds, the remnants of Storm Helene will move northeastwards across Wales and England during Monday night and Tuesday," it said. "A spell of strong winds is expected, initially mainly in the far southwest of England and across west and south Wales. 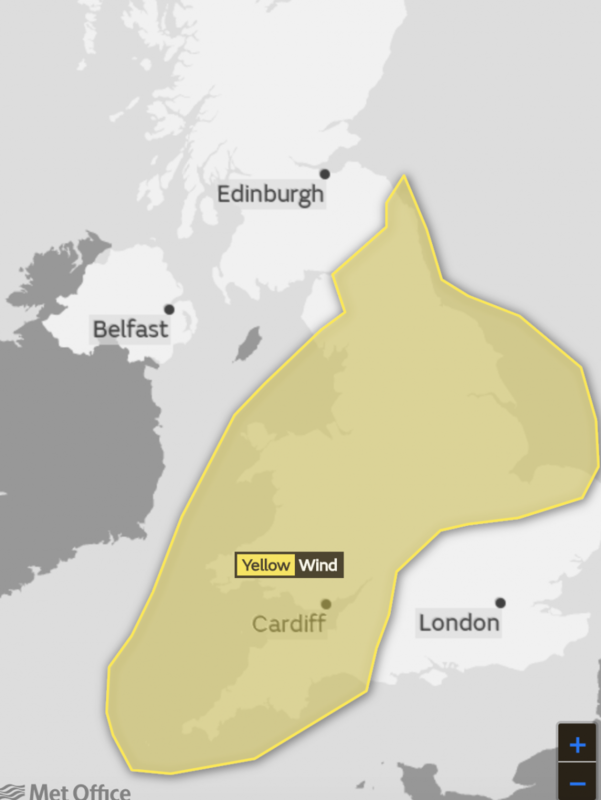 "Winds are likely to gust 40-50 mph quite widely across the warning area whilst some coasts and hills of southwest England and Wales could have gusts of 55-60 mph."